Like most people, I order a lot of stuff on Amazon - I am one of the 100,000 million customers that have Amazon Prime. But I rarely order books. Don't get me wrong, I read all day long and I also write all day long - but in terms of books, normally I do not order books on Amazon. Instead, I order everything from clothing to gadgets on Amazon but not books, which is what Amazon originally began with - selling books online. 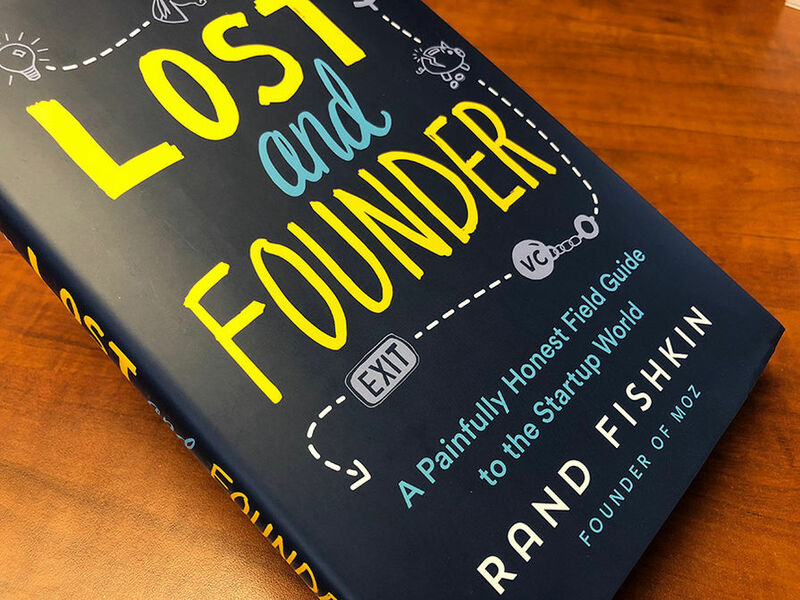 But when Rand Fishkin announced he was writing a book about his adventures in starting Moz and dealing with being a founder with investors, I wanted to read it. He named the book Lost and Founder and it goes through a very honest story of his successes and failures. I have not read the book, it was literally delivered by UPS less than 30 minutes ago, but I do know Rand from when he started his career. We both were in the trenches of the SEO communities early on and we both volunteered a lot of time in those communities. Our paths obviously went down different routes, but his heart and motivation for what he did when starting Moz and for what he is going to do in the future feels to me to be in the same place. I am super excited to read this book and learn from it. Again, the interesting part is that it is rare for me to ever buy a book on Amazon. In fact, it might have been several years since I last bought a book on Amazon (side note: people mail me books all the time for free). This one, even without reading it yet, I know is worth reading not just because of the honest information in the book but because of what Rand stands for in his work.